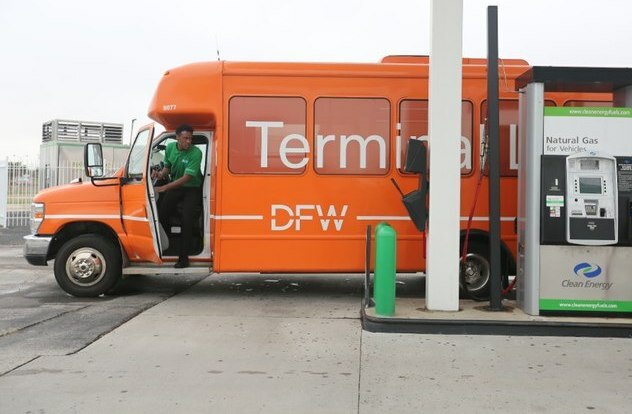 REV Group, manufacturer of motor vehicle brands, announced it has begun delivery of 34 CNG-fueled, low-floor shuttle buses to the Dallas/Fort Worth International Airport. These are the first deliveries of a 101-bus contract that ElDorado National – California, Inc. (ENC) will be producing. The contract is a mix of the latest generation Axess 40’ and E-Z Rider II 35’ low-floor, ADA compliant shuttle buses. All buses utilize clean CNG fuel and feature extra-wide entry and exit doors for fast and efficient passenger movement. The Axess and E-Z Rider II are produced in the ENC manufacturing facility located in Riverside, California. Both models meet the latest Buy America compliance requirements. “We have enjoyed a long-term relationship with the Dallas/Fort Worth International Airport. ENC has supplied heavy-duty parking lot shuttle buses at the airport for the past 20 years. ENC also recently received a purchase order for the next installment of buses to be produced for the airport. We will be producing 28 of our largest Axess 40’ buses for the DFW Rental Center,” said Mike Ammann, Vice President of Sales, ENC.